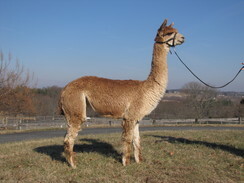 Bluebird Hill Farm purchased Master from JC Alpaca farm after birthing some of his cria at their farm. They never had a second thought. Not only is he a beautiful maroon, but he also is very easy to handle and has settled each of the girls he has been bred to him with the first breeding. You can't beat that! 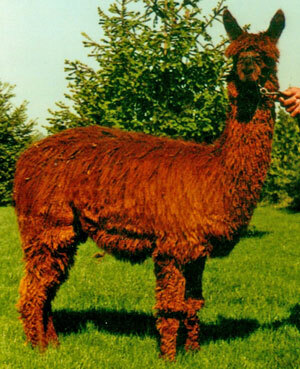 We have no pictures of Master in his first fleece, but the one provided above is certainly acceptable, and you can easily see his luster, locks, and gorgeous maroon coloring. His conformation is excellent with proper proportions and great bone, and a perfect bite. His cria have done extraordinary things in the show ring including a championship or two. This full Peruvian was imported through Canada in one of the last imports. 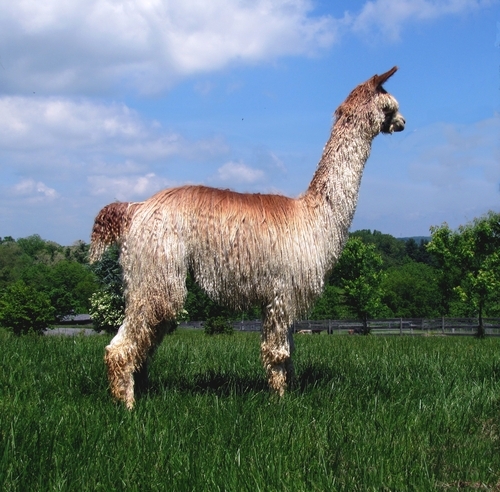 She is solid beige in color and was owned by Bluebird Hill Farm in Springfield, OH. She is a vigorous dam and good mother. 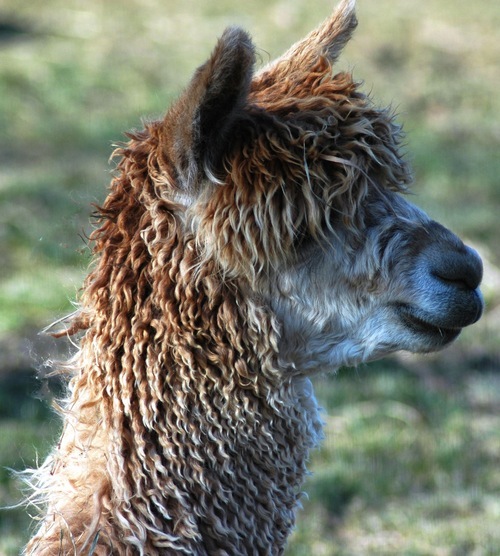 Rhianna has beautiful locks and luster on each new fleece, and she is an excellent mother. She is a beautiful fawn color with dark skin and nails, and has proven that she can produce grey when bred to grey. Her daughter Sugar Babe is a beautiful rose grey by our own Mercury Rising (Medium Silver Grey). We were surprised when we bred her to Jimbobway, who is dark fawn, and ended up with a white "Shotgun", although that has happened from Jimbobway upon occasion. Shotgun did well at the 2012 Mapaca Jubilee, the largest show in the US, placing 3rd in a class of 14 of the top juvenile males in the country. Sugar Babe also received fleece championships in her career. Look closely at the locks and her lock regrowth, as she maintains this beautiful fleece year after year. 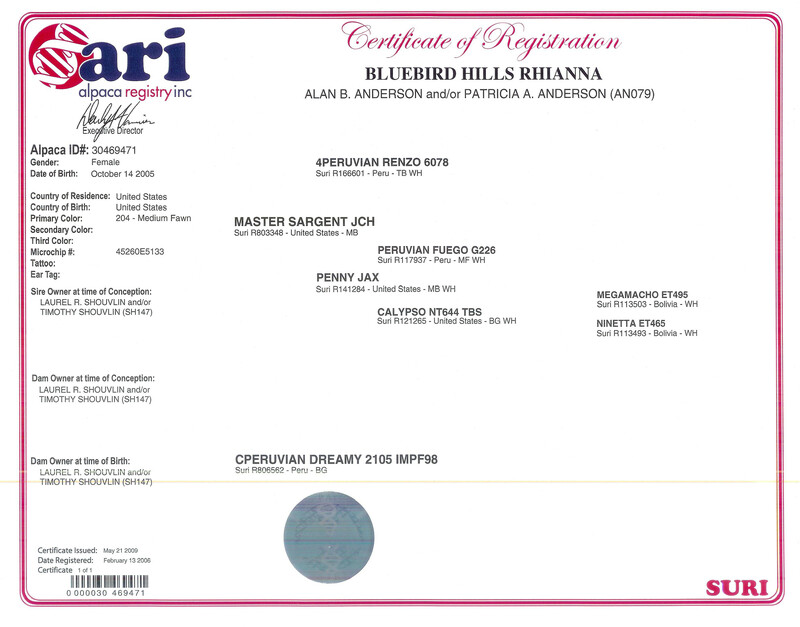 Rhianna has been a foundation dam for us and will continue to produce excellent, competitive crias with a beautiful fleece. 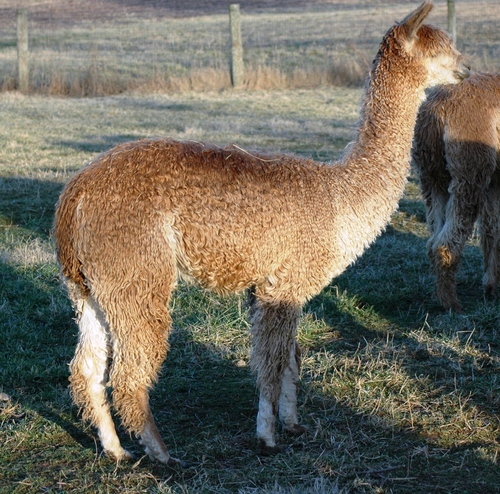 Rhianna was bred to Branagan, our multi-champion Allegiance son, and her 2018 cria, WRSR Honeysuckle. 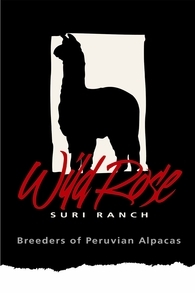 She produces high quality crias, so we bred for an appaloosa this year with show champion WRSR JackKnife by Fusion as the sire. We are hoping for that beautiful grey/fawn appy pattern. 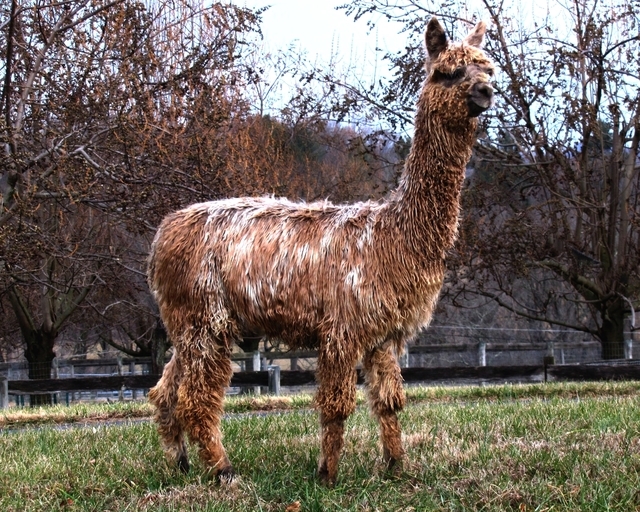 Contact Patti at 443-740-4240 for more information on Rhianna and her female cria. Honeysuckle will be weaned in November.